We speak with author Jo Marshall about the role mindfulness can play in helping us to understand where Anxiety comes from and what we can do to change our relationship with it. We also look at the evolutionary roots of Anxiety and discuss some simple exercises people can do to help with this very normal issue. 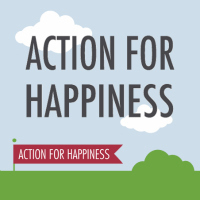 We first met at an Action for Happiness event and Jo is a big supporter of this charity. Dr Danny Penman is the leading author for mindfulness in the UK with his best selling books being translated into over 27 languages and being used by many GP's to help their patients with anxiety and depression. He joins Gui with Team Renaissance to talk about his current book which speaks about using mindfulness to unleash our creative qualities. We kick off the new Podcast for Happiness series with a wonderful interview with Helen Russell. Helen, is the author of 'The Year of Living Danishly: Uncovering the Secrets of the World's Happiest Country. I just finished listening to it on audiobook and it tells the story of her reluctant move from the UK, following her husband and his new job to Denmark. The book details Helen's mission to figure out the their secrets of Happiness. Helen has written for the Times, The Telegraph, The Guardian, The Independant, The Daily Mail and Marie Claire among others. PODCAST 39: Mindfulness-Based Substance Abuse Treatment for Adolescents. Sam Himelstein talks about his new book. Sam Himelstein is the author of two fantastic books on how to use and teach mindfulness to troubled youth. He joins Team Renaissance to talk about his journey since leaving the Mind Body Awareness project and about his new book, Mindfulness-based substance abuse treatment for adolescents. He is a licensed psychologist, an author, trainer, and researcher and is currently a Behavioral Health Clinician at the Alameda County Juvenile Justice Center. A former troubled youth himself (listen to podcast 23), Sam explains how his new role allows him to spend more time doing what he is most passionate about in the prisons working face to face with the inmates there. To get a bit of perspective on the trauma suffered by these youth, when asked by Sam how many have witnessed a murder first hand, almost 3/4 raise their hand. What kind of detrimental effect does that have on the human brain? Team Renaissance return to Floatworks in Canary Wharf for our second visit. My first visit dates back to 2013 and was a very relaxing and pleasant experience. I have now been meditating for 4 months and my goal this time was to purely focus on the breath and see if I could repeat my daily 20 min practice for a full hour in the confines of an Isolation tank. The Isolation tank (or floatation tank, or the Sensory deprivation tank) is a fantastic tool to create an environment that you can find nowhere else in the world. The water level is about knee high and is set to body temperature so that after 10 mins, you lose the sense of where your skin ends and where the water begins. The water is full of about 1000 lbs of Epson salts, allowing the body to float. There is no sound, no light, no smell - no distractions. Although this was my second experience, I was still slightly nervous about spending a whole hour with my mind. I first found about the tanks on Joe Rogan's podcast and have to credit him for this great journey. Anh and I reflect on the podcast on our experiences of that day, from his 'almost' mini anxiety attack and my battle with the silicon ear buds (to keep out the salt water) that I struggled with. We talk about about the spiritual side of spending quality time with the mind and have a fantastic conversation about the positive take aways. We introduce listeners through a 30 second mediation to show how easy it is, and also to highlight that just sitting silently is not meditation. We also discuss the benefits of continued meditation that is so powerful that it is something Anh and I do everyday. For all this and more, click on the media player above, or download the podcast episode in iTunes. Executive Director, Roger Miller and Senior Instructor Micah Anderson join us to talk about the significant advances they have made since our last talk in early 2014. These are they guys that are going into the prisons and through their own techniques, find ways to reach out and make a huge impact on the lives of these troubled youth. This podcast begins immediately after Eddie's first mindful meditation. The very brief 60 second excercise was sufficient to trigger the interest that allowed for the rest of the Podcast. Meditation is not sitting silently, nor is it praying or doing anything remotely religious. Eddie is one of my closest friends and introduced me to Eckhart Tolle's amazing book 'the Power of Now' almost a decade ago. Having said that, he had never formerly meditated. We wanted to convince him that the daily practice is different than just understanding the concept. Co-host Anh and I use this Podcast as a revision of what we have been learning but also to put it into practice. With the help of YouTube videos featuring Russell Simmons, Eckhart Tolle and Sam Harris (videos below) we break them down with our own comments and thoughts. We never intended this to be a Podcast, but the experiment of guiding a 'newbie' through a meditation would be a great learning experience all-round. When trying to explain Mindfulness, what better way than to refer to the videos that have inspired us? Below are the time stamps for when we discuss certain topics. I have also added the videos that we are referring to and I would recommend everyone to watch. Russell Simmons: 51mins someone who has all the money he needs, explains why the most important thing is being 'present' and this is also where happiness comes from. The final part of the podcast was really fun for me and its something we will be doing more of. We play a video and pause it regularly to reflect and discuss the bits we find fascinating 1hour34mins. The video below is the full length film that we are basing our comments on. I was fortunate enough to get some time with Action For Happiness Director, Dr Mark Williamson over a beer, following a talk he gave late 2014. Following several email exchanges we were honoured to have Mark join us on the podcast. Mark has been Director of Action for Happiness since October 2010. Prior to this he has an amazing resume of education with an MBA from IMD business school, holds a PHD and 1st class Hons degree in Electronics and communications from Bristol uni and is a Sainsbury management fellow and chartered engineer. Mark spent nine years as a management consultant at Accenture. and before this he also worked for Hewlett Packard Labs and Orange. After more than a decade of corporate life, Mark decided to change direction and is now using his energy and leadership skills to help build a better society. Losing a loved one is a very tricky thing to deal with. Team Renaissance are in the house to talk about dealing with death. My granddad passed away last week and we discuss the difficulties of trying to find happiness and mindfulness during these stressful times. The daily meditations that I was becoming so used to doing were almost impossible to do once I found out my Pappy had passed. This has only encouraged me further to improve my mediation abilities, especially to prepare me for these extreme situations. As we talk about death, we also play some of Sam Harris' video on this subject and we also play some of Steve Job's Commencement 2005 speech where he too touches on the subject of death and life. ''If you live each day as if it were your last, some day you'll be right'' Turn death into a motivator and a driver to exceed in life. Listen to the media player above for the full episode and also take a look at the videos below for amazing inspiration. Christi Brereton is the #1 British fighter at 55kg's and she's just defended her Title with a mega 4th round TKO at Unleashed IV in Telford. A lovely honest podcast with an amazing woman and champion who is paving her own path to achieve her goals of becoming World Champ again. For me, she is the next Ronda Rousey of Muay Thai and it's a fighter that I am always very excited to watch. Her last 3 fights have been wars in which she was victorious against the former English, European and world champion Alexis Roufus and also French Champion Soraya Bucherie who was 54 -4! On the 30th November, she defeated Helen Wilson of Headhunters martial arts academy. Listen in as Charlie breaks down the pieces that have contributed to his amazing career. He left school at 16 and worked full time at Toni & Guy. Was an avid Rugby player but had to sacrifice this at it clashed with the hairdressing job. We talk about the influence that 3 times Muay Thai World Champion Kieran Keddle has on Charlie to this day. Charlies' next big fight is coming up in February 2015 in Portugal, so we will be following that closely. As the Renaissance Team continues with its Mindful theme, we are always on the look out for people that are going above and beyond to help spread awareness of Mindfulness. We believe whole heartedly that there are so many benefits that students can gain from mindfulness however the research is not entirely there yet to back all the claims (especially improvement in grades), so we have to be careful as to what we say the true effects are. Having said that, Claire is working with 1000's of students with her .b (secondary curriculum) and paws.b (primary curriculum) and the success of the program and the positive results that are filtering in is leading the way in helping to get Mindfulness into Schools. How old does a child need to be before their brain is receptive to Mindfulness techniques? How much study and research has been done on this matter? Surprisingly not much. It is very difficult to put percentages or stats to the work being done with children, especially primary and secondary school children as the results are usually more qualitative. More concentration in class creating a great learning environment, better grades, more enthusiasm and the understanding that the Brain is a muscle and it can grow. Although we have discussed Mindfulness on several podcasts, we have not yet addressed this in relation to our youth and we are joined by Michael Bready, founder of the Youth Mindfulness program in Scotland who has worked with thousands of students and is the creator of a Mindfulness course and curriculum that is getting fantastic reviews. More importantly, Fran, Ahn and I do a 25 minute guided meditation just before recording the podcast. It's an amazing video that Sam Harris narrates and is available on Youtube. If you have not meditated before, I strongly suggest that you commit to doing the 25 minute exercise and watch how you grow and develop in such a short time frame. As soon as you begin to meditate, you will have so many thoughts rushing into your mind such as, this is a waste of time, my back hurts, this is stupid, why am i doing this, what am i going to eat for dinner etc. The purpose of the exercise is to realise that this is going to happen, but what can we do about it once we recognise they are happening. This is the basis to controlling how you feel in life and how you will be able to effectively have more control on your thoughts and happiness. Anh, Fran and i talk in detail about our internal dialogues on the podcast. This amazing book guides its readers through 8 weeks of mindfulness guidance based on the groundbreaking work that co-author Mark Williams has researched to an almost exact science. Jon Kabat -Zinn inspires with a few words in the Foreword to this amazing book. Danny shares his journey and we discuss the work Danny is doing now for the mindfulness movement and also his amazing work against animal cruelty. In 2009 and in 2011 Danny won the Humane Society of the United States Brigitte Bardot International Print Journalism award for his investigations into animal welfare abuses around the world. The award was presented in front of an invited Hollywood audience that included Ellen DeGeneres and the stars of CSI Las Vegas, Bones, and the film 'W'. In 2011 he won the Royal Society for the Prevention of Cruelty to Animals (RSPCA) 'Special Investigation Award'. Former guest and Hawaii resident, Sofia wilt co-hosts this episode on a subject very close to her heart (and health). Following the aftermath of Storm Iselle, Sofia along with many other Hawaiian residents were exposed to poisonous gasses, released from the local and controversial PGV Geothermal Power Plant. Trapped due to trees and debris on the roads, residents were left without help and without guidance. To add insult to injury, the government has played this down and the jury is still out on what will happen to the power plant. Joining Sofia and I on the podcast are Tom Travis and Bob Petricci. Check out this video from the bigIslandvideonews.com as this gives a great summary of what happened and how the locals feel about it. Listen in as we get into what Geothermal Energy is, its shady history in Hawaii and we try to understand how and why this disaster took place and why alternative energy methods such as Solar are being ignored and muffled. Questions as to why the government is downplaying this are asked and we discuss what can be done and what the next steps are. If you want to share your personal experience, voice your opinion or show your support, you can visit Bobs site http://bobpetricci.com/geo/index.php/pgv-incident where you email him directly. Message me too and I can forward all communications.